It’s always nice when we hear from clients about how they’re getting on with their Moravek equipment and last week we received a message from Van Havig, Master Brewer at the Gigantic Brewing Company based in Portland, Oregon. The brewery focuses on two things: making “the best damn IPA in Portland, Oregon” and producing “seasonal, exciting, flavourful beers, most of which will be brewed only once.” They believe in simultaneously creating “new interpretations of classic styles” and then ignoring “those same style guidelines completely and [brewing] whatever our creative natures produce.” We like their thinking! “The resulting beer has the best level of N2 I’ve ever seen outside of the large British and Irish breweries. Standard small brewery nitrogenation usually results in a nice cascade through a creamer faucet, with good mouthfeel and head retention for a few minutes. Typically, midway through a pint the beer just ends up tasting really thin and flat”. These are usually called Nitro Beers after the type of gas used in the carbonation process. It creates a creamier beer and typically contains about 70% nitrogen and 30% carbon dioxide. Gigantic found that by using their Moravek BC15 Inline carbonator “you can let a pint sit for 45 minutes and the soft and full mouthfeel is still there. And the head never really seems to dissipate. I’m honestly gobsmacked by it”. Following the success of Harviestoun Brewery at the International Brewing Awards with their Mischief Nitro Engine we’re looking forward to hearing about more nitrogenation success from our customers and perhaps even trying a pint or two! Founded in 1983 by Ken Brooker, the Scottish brewery has grown steadily to become renowned for their award winning beers. Kicking things off was their Schiehallion Lager (yes, they like unpronounceable names!) winning the Champion Beer of Britain Gold in the ‘speciality beer class’ of CAMRA’s annual awards in 1996, 1997 and 1999. Head brewer, Stuart Cail, joined Harviestoun in 1995 and cites his proudest achievements as winning Supreme Champion Beer of Britain (2003) and creating Ola Dubh (2007). Did we mention they like unpronounceable names?! Over the years the brewery has found new and innovative ways to create truly unique beers from their whisky cask aged Old Engine Oil to Bitter and Twisted, aged in Gin and Pinot Noir barrels. Now, they have successfully ventured into the area once associated solely with a particular Irish brewery. More and more craft breweries are starting to use the nitrogenized method and bars are embracing smaller nitro producers as production grows. Nitro refers to the type of gas used in the carbonation process. It creates a creamier beer and typically contains about 70% nitrogen and 30% carbon dioxide. It’s always nice to see hear when our machines help win awards and we hope that for Harviestoun there are many more in their bright and innovative future. Any customers with CW250 machines manufactured before 2000 or with old style level probes are now eligible for a part exchange offer when ordering a new CW400. Certain parts of the CW250 are becoming obsolete so unfortunately we are increasingly unable to renovate old machinery. We have therefore introduced a part exchange discount when existing customers decide to upgrade to our CW400 model. Why upgrade to a CW400? New style level probes now allow users to produce nitrogenated beers such as stouts. The larger product pump is able to process 400 litres an hour rather than 250 litres giving greater kegging capacity. 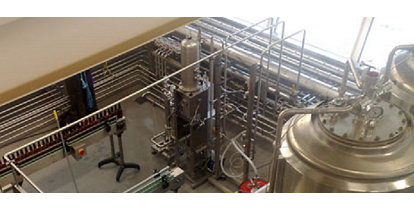 Furthermore, the CW400 is fitted with removable pipes which enable it to be coupled with the Moravek BF05 Sterile Filtration Module, allowing our customers to sterile filter beer on demand immediately before carbonating thereby avoiding the necessity to transfer filtered beer into a bright beer tank. This significantly lowers the risk of contamination as the beer is filtered directly before carbonation and filling. Additionally, by not having to sterile filter prior to bottling or kegging production you also save valuable time. Further details of the CW400 can be found here. If your brewing operation has expanded since you purchased a CW250 and you would like to find out more about our higher volume machinery please do not hesitate to contact us to talk about your requirements. For further information about our part exchange offer or any of our products please contact Phil Quinn on 01427 890 098 or email: [email protected] with the serial number and production year of your machine. 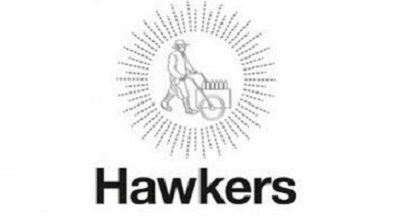 Moraveks first Australian customer Hawkers Brewery in Melbourne Australia have won a major International award for their packaged beers. The Moravek BC30 Beer Carbonator + 18/18/4 tribloc bottling system + m+f Keg-Technik Micromat 2/2b BC30 Kegbloc Kegging system was commissioned in January 2015 last and they have not looked back since. First taking best Keg Beer at the 2015 Melbourne Craft Beer only a week after start up and now International recognition. Their win was recently featured on the Channel 9 news in Australia and you can see a clip of the item above. Chris Willcock, Master Brewer and Chief Brewer of 4 Pines Brewing Company, recently wrote an article for the March 2016 issue of Brewer & Distiller International which is published by the Institute of Brewing and Distilling. The article covers their 2012 expansion project which came about as a result of demand outgrowing the supply of their products. 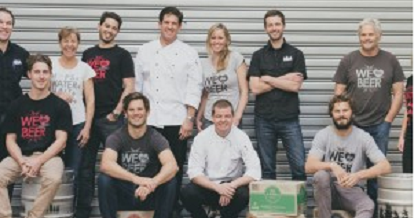 In October 2012 they brewed their first beer at the new one-million litre facility in Brookvale, just a few kilometres from the Manly site that still houses their original micro-brewery. Back in December we wrote an article about the new installation and bottling line at the Brookvale site but we’ve been really pleased to hear about how they have been getting on with the new machinery. “We got off to a solid start putting 4,000 cartons straight into the warehouse in the first week of commission production,” says Chris, “and we have been delighted both the quality of packaged beer the Moravek system produces plus the various features of the BC make life simpler for our production team.” He has told us that the line is constantly running at more than 90% efficiency. That’s exactly the sort of news we like to hear from our customers and we wish them all the best as their business continues to grow. Please click here to read the full article. Bath Ales Line Output Surpasses 20 Million Bottles! The Moravek bottling line at Bath Ales recently passed the 20 million bottles mark after 9 years of reliable service. 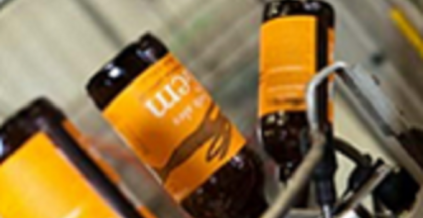 As well as packaging their own range of bottled beers the Bath Ales bottling line is also used as a contract packing service to over 20 other local breweries located in the South West of England. Craig Lewis, production director for Bath Ales said “We run the line 5 – 6 days per week and some times on extended shifts to meet growing demand. The Moravek equipment has proven to be very reliable and robust, which has allowed us to establish an excellent reputation for brewery packaging in the South West of England. UK & Ireland ? St Austell Brewery, Wrexham Lager, Otter Brewery, Meantime Brewery, SAB Miller Cropton Brewery, Black Isle Brewery, Cairngorm Brewery, Porterhouse Brewery, Castle Eden Brewery, Gower Brewery, Enfield Brewery. USA – North Peak Brewing Co., Susquahanna Brewing Co., Kannah Creek Brewing Co., Excelsior Brewing Co., Gigantic Brewing Co., Breakside Brewing Co., Four Peaks Brewing Co.
Australia & New Zealand – Hawkers Brewery, Four Pines Brewery, Red Island Brewery, Cassels & Sons Brewery. In a slightly unusual location in the heart of the whisky distilling Speyside region, Keith Brewery has been producing a range of handcrafted beers and ales since 2012. Previously known as Brewmeister the Brewery recently relaunched with new investors as Keith and have a new team, new brand and even new beer. 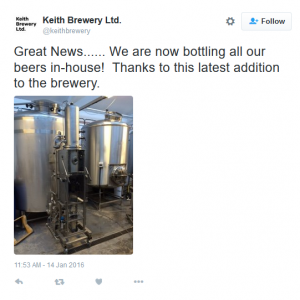 The newly upgraded brewery is capable of producing 14,000 bottles of the wonderfully named Larger Keith (4.5% ABV lager), Herr Keith (4.5% ABV wheat beer), Pale Keith (5% ABV IPA), Sir Keith (10% ABV barley wine ale) and Stout Keith (5% ABV stout). Sean Tomlinson, our Technical Support Partner for Scotland, worked on the brewery refurbishment which included the installation of a Moravek CW400, an inline carbonator and semi-automatic counter pressure bottle filling machine which can also be used for filling kegs. Now all their bottling is done in-house as they shared happily on their social media platforms! “I have worked with the machine in the past and was really pleased with the results,” he told us. “Paul and Terry were very helpful, thorough and very easy to understand so after a couple of times we understood the whole procedure”. It’s not just the installation that impressed Tony, “The results are great. 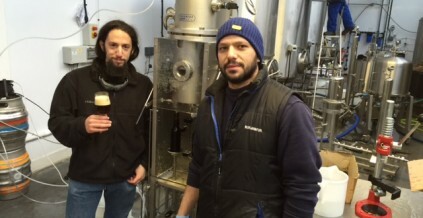 With Moravek we improved the quality and the consistency of our beers,” and perhaps he has big plans for the future? “Something else I would like to add is I would [like] the bigger version…”! We wish Tony and the rest of the Keith Team the best of luck for the future and we’ll be happy to help them with any expansions in years to come! 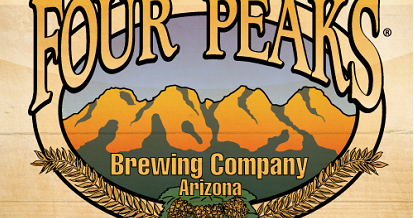 We recently installed a Moravek bottling line at the Four Peaks Brewery in Arizona and they have now shared with us some videos of the new machinery in action. There is a short clip below or you can see more in our bottling line video which features a range of our recent installations. At Moravek we are incredibly proud to have customers across the globe and we recently had the pleasure of completing the installation of a new BC30 Inline Automatic Carbonator and BF30 Sterile Filtration system as well as a bottling line at 4 Pines Brewery in New South Wales. 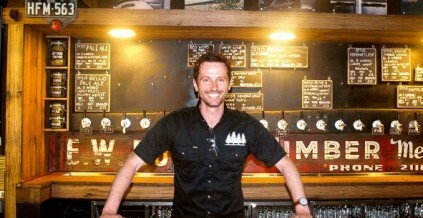 Established in 2008 the brewery moved from its Manly microbrewery to a larger site just down the road in Brookvale in 2012. They still produce their small Keller Door range at the brewpub in Manly and over the years have produced hundreds of different styles of, in their own words, “handcrafted beer brewed naturally”. At 4 Pines they are dedicated to producing beer with no artificial ingredients, flavours, additives, preservatives or fruit juice added. It is brewed to the German purity laws allowing only 4 ingredients: Hops, water, yeast & malt (with perhaps one or two extras on occasion!). With such an emphasis on natural ingredients and producing beer full of flavour and aroma it was important to them that any machinery they brought in to the production process would only enhance the quality of the beer. Now the new equipment has been in place for a while Chris has told us that they have been very pleased with the results as “In the first month we’re hitting our targets for reliability, run speed, micro and dissolved oxygen and improve each day on start-up and changeover times. We’re very happy with our choice of Moravek”. He continues, “This really is the perfect “mid-sized” craft beer filling system. Mike Moravek has engineered the system with superb attention to detail. This has made it intuitive, easy to use and reliable”. We quite agree and wish them all the best for the future!